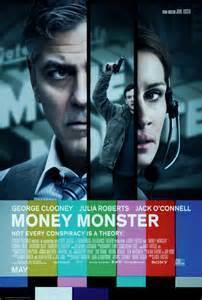 Walking into a movie house to see a film starring George Clooney and Julia Roberts, directed by Jodie Foster, one is expecting to see a good film and “Money Monster” delivers. It brings nothing new to the movie screen but it holds your interest, is a decent thriller and shows two stars at their best along with a supporting cast doing just that by giving strong support. The plot sounds very simple but the financial dealings aren’t! Kyle, played by Jack O’Connell, takes flamboyant TV financial host Lee Gates, played by Clooney, hostage while the latter is doing his live show, which Patty Fenn, played by Julia Roberts, produces and directs. Kyle makes Lee put on a rigged bomb vest and threatens to take his finger off the detonator unless it is explained how he lost all his money on a tip given by Lee on his show, which was blamed on a computer glitch. The company is owned by Walt Camby, played by Dominic West, a favorite actor of mine, whose communication director, and his mistress, Diane Lester, played by Caitriona Balfe, is in the dark about many things regarding her boss. Some of the best scenes in the movie are between Balfe and Roberts. Christopher Denham as a producer wanna be working with Patty has a role underwritten but played well by him and offering humor. 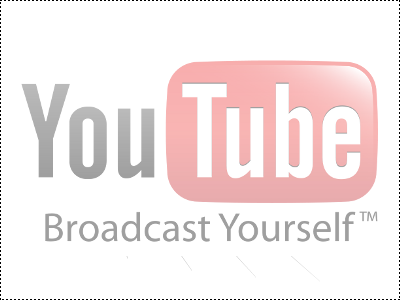 Lenny Venito as the lead cameraman on the show, Condola Rashad as an assistant and Emily Meade as Kyle’s girlfriend all make an impression with their time on screen. George Clooney is his familiar, wisecracking, mugging self at the beginning and growing stronger as he tries to bind with Jack O’Connell who delivers a difficult role easily. Through it all Julia Roberts is the focus and main strength of the film. The screenplay by Jamie Linden, Alan DiFiore and Jim Kouf keeps the suspense going, gives the actors some funny bits and tries to look at all the aspects of Wall Street and how the financial world works but do their best keeping the dealings between Clooney, Roberts and O’Connell at a high level. Though the film was suppose to have been shot in real time, a few scenes, outdoors, had to be fudged here and there. Jody Foster, as the director, keeps the tension going, the actors moving briskly and efficiently entertains. Though anything you can say about a thriller will be a spoiler Foster only did two things ‘wrong’, one regarding Roberts which is a personal spoiler for me and another regarding giving some information just a beat too soon. “Money Monster” delivers any expectations a movie-goer could want and will certainly satisfy fans of Julia Roberts, George Clooney, Jodie Foster and thrillers.